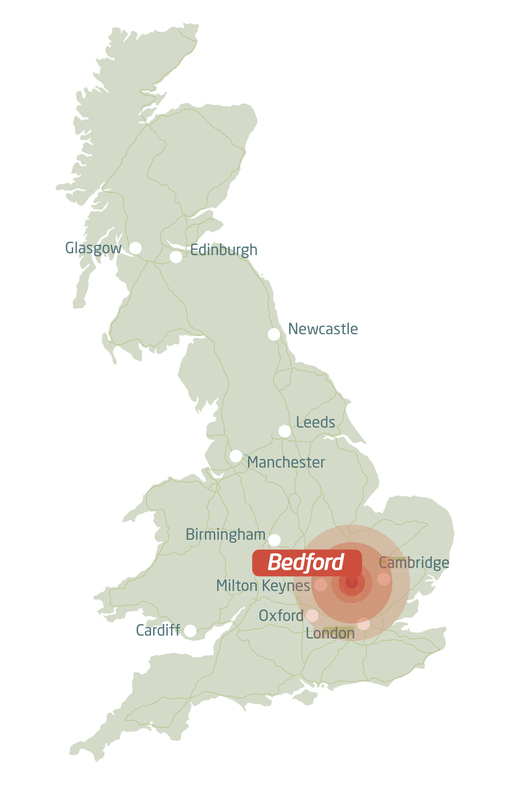 Locate your business in Bedford. It’s close to London, the UK’s capital city, without the London prices. We are in the heart of southern England with great connections to London, Cambridge and Milton Keynes. Speak to us about setting up a meeting today. We’d love to hear from you. Call +44 (01234) 276255. Email patrick.lyons@bedford.go.uk or justine.ives@bedford.gov.uk. Bedford Borough Growth Plan 2018 - 2022 shapes Bedford Borough’s economic development and regeneration, helping us compete as a location for business.